Federal Motor Vehicle Safety Standards (FMVSS): A series of car window safety standards required of the automobile manufacturers by the federal government. All vehicles must meet these standards before they are allowed to be sold in the United States. FMVSS 1 Title-Motor Vehicle Safety Standards Section 108: Holds manufacturers, distributors, and car window replacement companies accountable for producing and installing car window parts that keep the general public safe and secure. FMVSS 205 Glazing Materials: This standard specifies requirements for glazing materials for use in motor vehicles and motor vehicle equipment for the purpose of reducing injuries resulting from impact to glazing surfaces. The purpose of this standard is to ensure a necessary degree of transparency in motor vehicle windows for driver visibility, and to minimize the possibility of occupants being thrown through the car window in collisions. FMVSS 208 Occupant Crash Protection: This is a seat belt and airbag test that automobiles must undergo to meet specified requirements to reduce the number of deaths of vehicle occupants. This relates to the car window replacement industry because; a car windshield is the backstop to the airbag. Therefore, the manufactured car window and installation procedure must meet specific requirements to pass. FMVSS 212 Car Windshield Mounting: This is a test that places two dummies in a passenger vehicle and crashes them into a wall at 30 miles per hour. The test is to determine if the car window could keep the dummies safely inside the vehicle. It requires that a minimum retention around the edges of the car window to remain intact. If the vehicle fails the test it cannot be sold in the Unites States. This means that the windshields thickness, strength, and installation method must be able to withstand this demanding test. FMVSS 216 Roof Crush Resistance: This test requires that a rigid block be forced downward on a vehicle roof until it reaches a force of 1 ½ times the vehicles weight or 5,000 pounds. The resistance force must be reached before the block moves downward 5 inches. This is important in the car window replacement industry because the car windshield helps support the vehicles roof. Society of Automotive Engineers (SAE): design and engineer car window safety glass specifications for laminated and tempered parts. They also created The American National Standard for Safety Glazing Materials for Glazing Motor Vehicles and Motor Vehicle Equipment Operating on Land Highways or better known as the “Safety Code”. In addition, they are responsible for engineering car window and windshields specifications that meet the American National Safety Standard which includes standard SAEJ673 and SAEJ674. “Safety Code”: Denotes performance specifications, test methods, and design of glazing materials that are used in motor vehicles. The requirements in ANSI/SAE Z26.1 are specified in terms of performance tests that various “items” of glazing must pass. There are 21 items of glazing for which requirements are currently specified in FMVSS 205. SAE J674: was created by the Society of Automotive Engineers (SAE) and is covered under FMVSS 205. This standard specifies the types of glass that can be used in car window replacement or car windshield applications. This standard specifies that only laminated or tempered glass or better known as “safety glass” can be used in automobiles. SAE J673: is also another standard that falls under FMVSS 205 and covers fabricating specifications for thickness, flatness, curvature, and size of car windows and windshields. Under this standard all car window replacements and car windshields must be manufactured to exact specifications within permissible and regulated deviations. 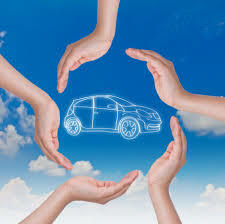 There are different specifications for each vehicle make and model. So, a windshield for a NAGS part number DW01099 may be different from a FW02064. However, two DW01099’s will be manufactured to the same thickness, flatness, curvature, and size within a slight regulated variance. Auto Glass Replacement Safety Standards (AGRSS): Created the Auto Glass Replacement Safety Standards for proper car window and windshield procedures and is accredited by ANSI. AGRSS addresses procedures, education, and product performance that focus on proper car window replacement methods. Who Manufactured my Car Window? transportation system for the United States. Every car window replacement or windshield part manufactured must have a DOT certificate code stamped on the glass. This code describes the manufacturers’ identification information. To find out who manufactured your car window visit the DOT database. National Highway Traffic Safety Administration (NHTSA) : This is a subsidiary of the U.S. Department of Transportation that is responsible for the safety of cars. Among other things, they are responsible for the FMVSS series of laws that covers the safety of vehicles including car windows and windshields. I-CAR: An International, not-for-profit training organization formed by the collision industry in 1979. All I-CAR activities and resources focus on helping the industry achieve a high level of technical training. Independent Glass Association (IGA): Is an association that is dedicated to independent car window replacement companies throughout the United States. It is committed to defending consumers’ rights in choosing car window replacement providers, ethical business practices, promoting safe and proper services, and serves as an advocate for customers, insurers, and legislative entities. National Auto Glass Specifications (NAGS): They create, assign, determine, and publish car window part numbers, list pricing, and labor installation times for the car window replacement industry. National Glass Association (NGA): Is a trade association for the car window replacement, architectural glass, and window and door industries. They provide education and training programs that upgrade technical skills, improve management practices, and enhance quality workmanship for the glass industry. Pilkington: (Formerly, LOF and Libby Nippon): An OEM manufacturer car window manufacturer for many car makers. PGW: (Formerly, PPG, Pittsburg Plate Glass): An original equipment manufacturer. Mygrant: An aftermarket distributor of auto glass and windshields in Arizona. Service Glass: An aftermarket manufacturer and distributor of car window and windshields.